Learn how to add volume to your hair instantly with easy and simple-to-do tricks that can help you edge out with an apparently better density of hair and style. You can now overcome the embarrassment and inconvenience caused by thin and fine hair or add up more volume to your thick hair by adhering to certain style tricks that can revamp your looks with an amazing art of change and approach. Men and women with thin density or fine hair confront problems when it comes to styling their hair and if you’re one of those who have consistently failed to get desired looks, we may have just the right guide for you. Since flat-hair designing at all times can induce boredom in your outlook, why not shun aside the monotonous attitude and dare up to bring about a change with some easy ways to add volume to your hair and enjoy styles of many designs without the insecurity of your natural lacking. While attempting to do tricks to add volume to your hair, it is foremost highly crucial to be very cautious about what you are doing and how you do it because one little mistake can pretty much dish out the wrong upshots. So it is advisable to do some homework! Just because something looks good on others doesn’t mean it’s the right thing for you too. Before you leap ahead to anything that seems to catch your eye, it is vital to determine and consider your hair texture and the type of look you seek because there will be a vast difference between how normal hair would look in comparison to greasy weighed or dry and fluffy hair. Enjoy a raised and apparently more thicker look from the base which will eventually give the rest of the hair a full bodied impact. This is an ingredient in hair products that penetrates right into the hair strands and enlarges their diameter from within. 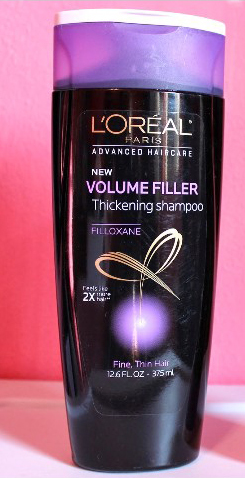 It is one of the instant ways to add volume to your hair. L’oreal and Redken brands offer hair products with filloxane and results are guaranteed. Buy your product now! What goes up must come down, that’s a theory of the past. 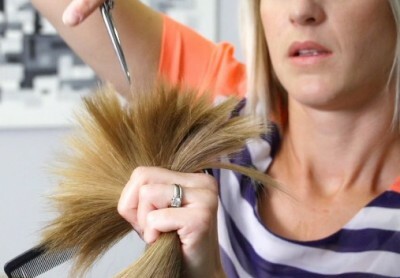 Get familiarized with our new hairstyling trick to add volume to your hair. 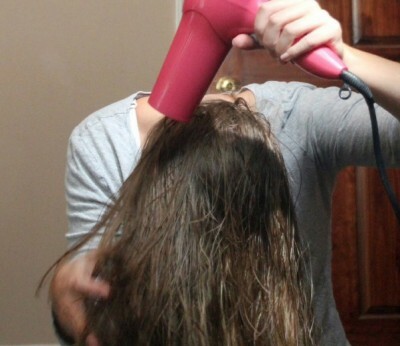 The technique of blow drying can be used in alternate ways to bring out desired results. From the professional secrets of hairstyling, you can have a better and more conspicuous bulkiness in your hair if your blow dry damp or wet hair with your head positioned downwards. Lower your heads downwards and blow dry. 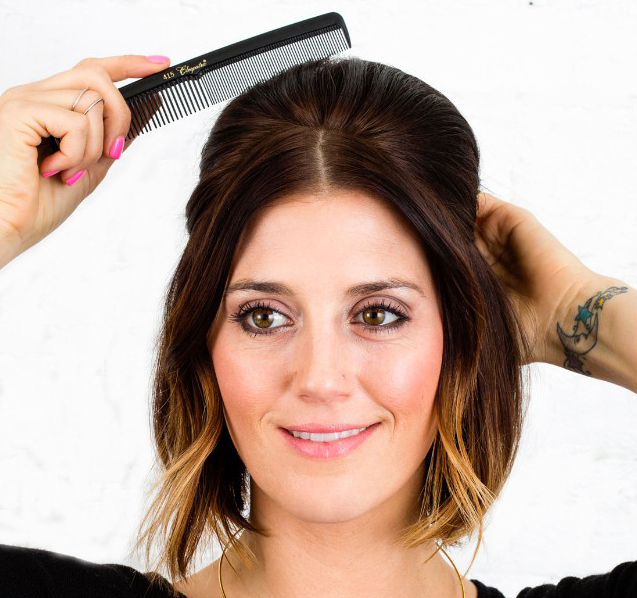 When the hair is dry get back to your normal up-straight position and enjoy a massive volumized look. Creativity can indeed be your savior if you wish to hide the thinness of your hair in a manner that seems trendy and hip. Avoid going for weighed down and sleek textures and let the normal texture do the magic. Simply brush out the tips of your hair strands so that they apparently and creatively enhance the body and mass of your hair with lash outs, feathering style. Curls and waves are also some of the sensual ways to overcome thin hair looks. While many people don’t recognize the results volumizing shampoos can give, it is one of the best tips to add volume to your hair. These products can actually make your style last longer and also increase the apparent diameter of your hair strands. The result is a raised mass of hair. You can also use ‘dry shampoos’ for good results. This is one of the best professional ways to add volume to your hair that guarantees not only a better and full bodied look of the hair but also stylishness. Layers are ideal when it comes to concealing thin hair, so o add volume to your hair get them encrusted so that the designing of the cut will divert attention from your main issue and give you a style that has a better and fuller look of padded effect on top followed by thing strands. each dimensional layer will have its own contribution to make your hair looks bulkier and stylish. Hair color trends are indeed some of the sensational ways to pump up attraction in your style. The use of hair color techniques is in fact one of the best ways to bring about a slightly raised look of the hair. Techniques like the contrasting base and highlighting with streaks can give the onlookers a more fervent and fascinating view, while giving you the confidence of looks deemed trendy. Get a darker base near the tips and have a lighter shade to play up the style and look further. With so many tips and tricks on record to help add volume to your hair, you have every reason to look and feel better with these easy ways to get enhanced hair density within no time at all.